I just hung up the telephone after a conversation with retired Lt Col Fred Richards. His name and contact info were given to me by a relative of a former 549th member. Mr Richards knew Joe Lamont, though not well. He remembered him from flight school and still cant figure out how my uncle finished Night Fighter Training before he did. They were separated at that time and Mr Richards followed my uncle to Hawaii, lagging some 2 or 3 months behind. They were not reunited again until many months later on Iwo Jima. Sadly, the only time Mr Richards remembers my uncle from Iwo was hearing that he had been killed the day before. He regrets not having found him sooner. Still, the validation of meeting someone who actually KNEW my great uncle is a wonderful feeling. Mr Richards and I had a great conversation covering most of his career in the military. He has many, many stories! I’ll be in touch with him again, I have no doubt. I did learn that night fighter training was purely voluntary. And that the wash out rate was fairly high. I asked if he knew Earl Kovara and he said Yes. I told him I was in contact with Max Tomassini (Earl’s son-in-law), and would pass Mr Richards contact info to him. Mr Richards said that would be great. I think he really enjoys talking to people who are connected to one of his old units, the 549th. That seems to be a common trait among the WW2 veterans I have met. I’m very glad and very fortunate to have met Mr Richards. I know it seems that I’ve been ignoring this branch of the Tree. I’ve made some progress on my maternal grandmother’s side (Saucier and Pichette), but virtually no progress on my maternal grandfather’s side (Crowley and Brady). This is mainly due to my great-grandparents having come to this country from Ireland in the early 1900s and me having no way to trace them back beyond that point. All I had to go on were things my mom had told me and a few random things I remembered from when I was very, very young. Obviously, my mother’s memory would be no use – after all, her affliction with Alzheimer’s is what prompted me to start this project in the first place. In other words, there wasn’t a lot. I had hoped that some of the things my parents had found during their trip to Ireland would be useful, but we can’t find anything from that trip. It may be buried in storage or it may have been packed by my sister, Suzanne, before she left to go back to South Dakota. In any event, I recalled a few things from their trip, but not a lot, and, of course, any documents they had found are missing. 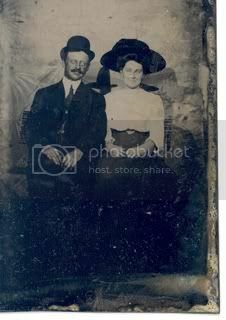 About all I know for sure is my great-grand parents were Timothy J Crowley and Theresa M Brady. He was from County Cork and she was from County Roscommon. I knew from the records on Ancestry that Timothy was born March 18, 1888 and I was guessing that Mary was born around 1886, perhaps 1887 or 89 – there were conflicting dates in the census records. I also found evidence they came to this country in 1907. I have what might be a ship’s manifest for each of them, but nothing definitive to tie the people on the manifest to me. Lastly, I found a record of their marriage on April 23, 1913. That was it, and that was what I recorded in my Tree on Ancestry. Then, out of the blue, I received an email from a woman in Ireland named Aoife (pronounced Ee-fuh) who offered to do some on-site research. Im guessing she got my email from Ancestry.com, but I dont really care. I took her offer to look into Timothy and Theresa for $20. I didnt know what to expect, but $20 seemed like a fairly small risk. So far, it has paid off better than I had hoped. Aoife was able to find a record of the 1901 Census of County Roscommon that listed a Theresa Brady as the son of Martin Brady. This matches the info on the ship’s register. The census also listed Theresa’s aunt, brothers and sisters, and Martin’s father Patrick. Amazingly, this matches a record of Patrick Brady Aoife found in the “Griffith’s Valuation” circa 1852. No demographic details there, just a list of renters. Quite a bit of progress, but still a long way to go. In the meantime, I am still trying to get some info from my uncles on who their uncles’ wives were. As I said, a long way to go. I had been spending a lot of time on only a few people in my Tree lately, so I thought it would be good to go back, take a look at the outstanding threads, and see if there was anything I could add. Im so glad I did. Ancestry.com has a number of message boards where people can post their queries for others to read and, with a little luck, respond. This has worked for me quite a few times in the past (see Orcutts, Curriers) so I thought I would try it again. I posted a request for information on Mary Anna “Annie” Grenier (b1875 d1923) who married Napoleon Lamothe on 6/30/1896 in Providence, Rhode Island. About all I know, I said in the post, is that Annie’s mother lived with the couple in Worcester, MA in 1900, was also named Mary, and was born in 1836. Not a lot to go on, I know. Not a lot, but apparently enough! Roland Grenier responded to my query the same day I posted it with marriage details including Annie’s parents names: Maximilian Grenier and Zenaide Despres. It is still a mystery to me how “Zenaide” got translated as “Mary” by the census taker in 1900, but neither Maximilian nor Zenaide spoke English, and while Maximilian could read and write, he could only do so in French. I suspect another incident of “language barrier” struck. The reason I seem to be taking this at face value is because I had earlier found a tentative result in the census of 1880 in Southbridge, MA detailing one Maximillian Grenier, age 47, and his family –> wife, Xener, age 44, and children Joseph, John, Henry, Samuel, Rose E, Albert, Mary A, and Marie (with her husband Joseph). Note the listing of Mary A. In 1880 her age is given as 5. That matches exactly with what I already know of her. Note too, the name Xener. If pronounced with a French-Canadian accent, that would probably sound like “Ze-nay”. Very, very much like “Zenaide” might sound to an 1880 American census taker’s ear! Again, note that Zenaide could neither speak, read, nor write English. In the 1900 census, Zenaide is listed as having given birth to 18 children, only 9 of whom were surviving. Here are 8 of those children. I now have entire new lines of searches to run! I will keep you posted on the results. An impromptu visit to Aunty yesterday yielded another priceless nugget! Aunty had been going through her things looking for a letter mentioning Moses Orcutt she received many years ago. She found that letter (the topic of another post) but also found a photograph of Joseph T Lamont! The photo wasnt really a photo, rather it was the picture included in the news item published in the local paper when he was killed. So, what I have here is a photo of a photo that was printed in the newspaper. Hence the image quality is not exactly great. Looking at the photo, though, it appears to be his “graduation” photo taken upon completion of Army basic training. It is difficult to see, but there is definitely something on his lapel. And his tie appears to be military style. It could also be his high school photo, but he left high school early in order to enlist, so Im not sure if he had a graduation photo. On that topic, the clipping referenced Joseph leaving St Rafael’s Academy in April 1943, 2 months before he was to graduate, to enlist in the Army. He had completed enough of his senior year to graduate and he was awarded his diploma in abstensia. Given that he was 20 when he died in 1945, he would have turned 18 in 1943. My guess is he turned 18 that April and enlisted as soon as he could – not even waiting to finish his last year of high school. I need to get a picture of the newspaper clipping itself. Perhaps there are more clues buried there that a thorough reading will reveal. In the meantime, I have sent the picture off to some of the surviving members of the 549th NFS to see if any of them might remember his face. More coming on this topic as soon as possible. Time for a quick “catch up” update. Thomas Currier, father of Elizabet Currier (wife of Frank Hartwell Orcutt) was born in Canada. He married Laura Gagnon of Maine, and their children were born in Maine. I can not find a record of Laura’s birth, but I found the WW1 draft registration card of her brother, Thomas, Jr. He indicated that he was born in Caribou, ME in November 1891. Awesome! So, I checked online to research Maine birth records. I discovered that Maine did not pass a law until 1892 requiring local towns to send their birth registries to the state. Thomas was born 2 months too early to have fallen into that “new” requirement. Argh! I looked up the town of Caribou, ME and found they have a web site. A little while later, I was on the telephone with their Town Clerk and their Librarian (both of whom were extremely helpful). It turns out that record keeping was, shall we say, somewhat sketchy back then. There are no records prior to 1892 for the Currier family. Oh well. Close but no cigar. I will have to try other sources and see what I can find. William Shakespeare wrote the former; we dont know who wrote the latter, but of all the old sayings that have to do with names, I think Ben Franklin’s best applies to my situation. Ben said, “What signifies knowing the names if you know not the nature of things?” Well said, Ben. What does it matter if you know what things are called, if that’s all you know about them? Very true, unless you happen to be talking about genealogy. There are a lot of examples in my search where I have been stymied, for longer or shorter times, by differences in names. Whether they’ve been spelling differences (Lamont vs Lamonte), transcription errors in the records (Crowley vs Crowsley), or resulting from language barriers (Isaac vs Elzear) they’ve been issues to overcome. The one that is most recent is whether Frank Hartwell Orcutt is really Francis Hartwell Orcutt. I found a copy of the Birth Records for Abington, MA in 1884 in which his birth is recorded as “Frank.” But, given that his father was Francis Colby Orcutt, could it be that the parents were calling him “Frank” instead of Francis to avoid confusion? My new-found cousin, Sharon, is calling in some favors and trying to get a copy of the official birth certificate from the Town of Abington (being a published author and professional genealogist has its advantages! ), so soon this mystery may be solved. There are 4 or 5 others I already know about and just as many likely waiting to step up and cause problems! As you know, I have been keeping a visual record of my Tree on Ancestry.com. In addition to research capabilities, that web site also has a large message board area. I have posted on several of them mentioning specific relatives and asking for information. I received replies to several of them from people who are related – in a very distant way – and from people who are just willing to help me in my research. One response was of particular note, and is the subject of this post. Needless to say, I replied. This message was hugely different from anything I had received before. In the past, even when the person wasrelated to me, it was usually the case that our 7th or 8th or even 10th great grand parents were the same. Never before had I heard from someone who was this close a relative! Add to this, the fact that she was related to a brother of Frank H Orcutt meant that there was a potential that I could learn more about him and that branch of the family. Little did I know what lay in store! I emailed the poster and it wasnt long before we were emailing several times a day. It turns out that the poster is named Sharon Orcutt Peters, and she is, among a number of other things, a genealogist! She is an author as well, and along with innumerable articles in various magazines, she has a book published on the history of Abington, MA. Well, as you can imagine, Sharon has been a tremendous source of knowledge, information, and inspiration. Sharon will be the subject of a number of future posts, but for now I need to continue keeping my promise to update a number of other topics. After that, I’ll post more on current happenings. One of the people about whom I’ve learned the most, and at the same time the least, is Joseph Lamont. I know a lot more now about how he was killed. I have a copy of the official accident report. Eye witness descriptions, aircraft information, and crew information are all included. I’ve met a few people who have helped immensely. I hope they do not mind me mentioning their names – I will not disclose their contact information, just thank them for all the help and information they’ve shared with me. Ken Arnold, who is web master of a site dedicated to a number of 549th members. http://www.geocities.com/CapeCanaveral/Runway/9601/7thaf.html is dedicated to Earl Tigner, a compatriot of Joseph Lamont. Ken has offered to set up a page for Joseph, but there isnt a whole lot I can add to the information in the accident report. Max Tomassini’s, father-in-law was Earl Kovara, another member of the 549th on Iwo Jima. MAx has found proof that Joseph Lamont and 8 other members of the 549th were awarded Bronze Stars for their roles in the ground fighting on Iwo Jima. Max has over 150 photos taken by his father-in-law and has sent them to me for examination. He has put me in touch with a couple of people who may yet be instrumental in shedding more light on Joseph as a person. I’ve been in touch with the current commanding officer of the 549th Combat Training Squadron (the current incarnation of the 549th), Lt Col. Ron “Rat” Hanselman, and his executive officer, Maj Misty “Shark” Sorensen. Col Hanselman has gone to the extent of appointing a squadron historian to put together as much of the history of the 549th as possible. I have been continually amazed and gratified that there are so many, many people who have made it their business to preserve the legacy and memories of men like my great uncle. I will write more on this topic later. For now, on to update other topics. I suppose the first of my “catch up” posts should be about my trip to visit Aunty Mary. I admit I was of two minds about it. Part of me looked very much forward to it – I hadn’t seen Aunty in years and she was one of my favorite aunts. But, I knew there was huge potential that she’d be upset with me (again, I hadn’t seen her in years!) and that she’d pull no punches in letting me know. Which, by the way, is one of the reasons she’s one of my favorites. Also, my father told me she has 6 or 7 cats living with her. As I mentioned before, I not only despise cats, I am violently allergic to them. Nevertheless, I took a day off work and drove the hour or so down to her house. It is the same house she’s lived in since some time around 1935. The same house my dad was born in. The same house my grandfather died in. The same house. In fact, almost everything in it is the same – but more on that later. My first thought when she opened the door was “Aunty got old.” What did I expect? She turns 81 this April. Still, 80 is the new 50 if Aunty is any guide! She lives alone and gets herself around, does minor repairs on the house, painted the outside trim, cuts the lawn, everything! She is amazing. I hope I am as active when I am 65, let alone 80. Well, we went in and chatted for a bit. I updated her on the new things I had learned since we last spoke. And then, she broke out the albums. So many albums! Aunty has always been a pack rat. In fact, I think she will be remembered as teh patron saint of pack rats! But that is not a bad thing – especially where genealogy is concerned. Aunty showed me a stack of 15 or 16 photo albums. I was almost overwhelmed. She told me who and what was in each of them. She categorized them chronologically, by family member. I had brought my digital camera, a pad, pen, and a digital recorder to help take notes. We opened the first page of the first book and my overwhelming was complete. I saw faces of people who, until that moment, had only been a collection of names, dates, and familial lines on a family tree chart. 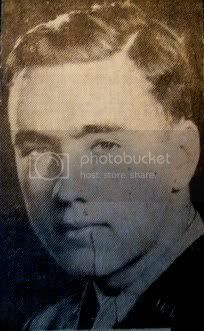 My grandfather, Paul, who died in 1953 was there as was my great grand father, Frank – the one who left his wife and 3 kids (including my grandmother) only to return some years later to have 6 more kids. So many people were there: aunts, uncles, cousins, people I knew only as adults who were pictured as kids, grandparents, great grandparents, great uncles and aunts, and more. There were drawings, poems, original artwork done by my relatives – and surprisingly good, if I may say so. Aunty knew them all by name. She rattled off names and dates and places like a tour guide who’d been on the job for 60 years. We fell into a rhythm. She told all about the photos on each page; we staged the page so I could take a picture of it; I took the picture; then we moved to the next page. It went on for page after page after page. 99 pictures later, the battery in the camera died. Of all the things I brought, the battery charger was not one of them. 99 pictures later it was about 2 in the afternoon. Still, we didn’t stop. We went though 8 or 9 of the albums before it was time to go. Since then I’ve been copying, cropping, and saving individual pictures. When I dont know the names anymore (my memory isnt what it used to be), I send the pages to Aunty and she labels them for me. I’m not done yet but I still have to go back and get more pictures of more pages.